A house of great antiquity and charm, standing close to a medieval church, and overlooking the village green in the historic village of Stokenham. Here, in the iconic South Hams, just a mile from the sea and five miles from Kingsbridge is ‘Pilgrims’, a four bedroom Grade II listed house that is estimated to date from the mid 17th century. With family sized accommodation of over 1500 square feet and oozing character, this individual house is ready for a buyer to move straight into and enjoy. There are three double bedrooms upstairs, the master being en-suite, plus a family bathroom, and a fourth double bedroom (or large study) on the ground floor. Overall the rooms are light and airy, with good ceiling heights for a property of this type, with a plethora of period features and ‘nooks and crannies’. Careful renovation and modernisation means there is a useful downstairs utility/shower room, a wood burning stove in the sitting room and a wonderful open plan kitchen/breakfast/dining room at the heart of the house. Externally there is a garage adjacent to the property, together with pretty gardens and seating immediately beside the house. The attractive walled garden across the path is a haven of peace and quiet, with further space for sitting, eating and relaxing. Since the 19th century, this area has been known for its fine crabs – a tradition which continues to this day, together with other seafood. The village is only just over a mile from the sea at Beesands or Start Bay, which means that Stokenham is a favourite with both home owners and holiday makers alike. The village boasts two fine public houses, both of which are renowned for their excellent food, and the bus stop for Dartmouth or Kingsbridge is only three minutes’ walk from the house. 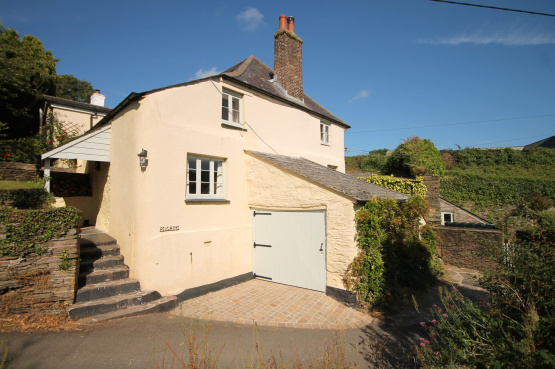 Pilgrims invites offers in excess of £550,000 and to arrange a viewing or request further details please contact the Kingsbridge branch 01548 857588 of Marchand Petit Estate Agents.